Authority & Jurisdiction – The Atlanta Metropolitan College Police Department (AMSCPD) has the responsibility and authority to administer the traffic policy for the institution and to control traffic and parking accordingly. The Georgia Motor Vehicle and Traffic Code (Title 40) confers the right to Atlanta Metropolitan State College to control traffic and parking on its properties. All individuals who register a vehicle with the Atlanta Metropolitan State College Police Department or operate a vehicle on Atlanta Metropolitan College property shall abide by the regulations set down by this vehicle regulation. Enforcement – The Atlanta Metropolitan State College Police Department enforces Georgia State law and vehicle codes and the rules and regulations of the College. Statutes are enforced 24 hours a day, 365 days a year except as otherwise indicated within this code. Violators are subject to having their vehicle immobilized (booted) and/or towed for serious violations or after a fourth and subsequent delinquent fine. Vehicle Insurance – Georgia law requires that every owner and driver of a motor vehicle in this state maintain financial responsibility through liability insurance coverage. Any other means of financial responsibility must be approved by the Department of Motor Vehicles. Anyone who registers a vehicle or drives on Atlanta Metropolitan State College property must meet this requirement. Driver’s Licenses – All applicable license laws (OCGA 40-5-20) will be enforced upon all who traverse upon any street and parking lots owned or leased by Atlanta Metropolitan State College while driving a vehicle and within the jurisdiction specified by law. Liability – Atlanta Metropolitan State College does not assume responsibility for any damage to a vehicle due to theft, vandalism, flood, fire, or accident. Permission to Park and Operate a Vehicle on Campus – A PARKING PERMIT DOES NOT GUARANTEE OR RESERVE A PLACE TO PARK. It does give license to drive and park on Atlanta Metropolitan State College property in the manner prescribed by this vehicle code. PARKING PERMITS ARE REQUIRED to be DISPLAYED AT ALL TIMES FOR VEHICLES PARKED ON ATLANTA METROPOLITAN COLLEGE PROPERTY. These privileges may be revoked at any time at the discretion of the College. Control of College Roads and Parking Lots – The College reserves the right to close any campus parking area when it is necessary for maintenance, safety or to meet special needs. When possible, notices will be posted indicating the closure. Fines – Fines shall be levied according to the schedule indicated in this section. Fines must be paid upon receipt of a violation. Fourth and subsequent unpaid fines may result in a vehicle being booted and/or towed. Student grades, subsequent registration and diplomas shall be withheld until all fines are paid. Violations may be appealed as indicated in this appeals section. Suspension of Privileges – The privilege to operate or park a vehicle on campus may be suspended to preserve the safety of the campus. Vehicle operators accruing 7 or more citations (parking or moving) in an academic year may be subjected to this suspension at the discretion of the Atlanta Metropolitan State College Police Department. Vehicle Registration – There is a $15.00 fee for parking permits. All vehicles operated on campus by students or employees MUST be registered with the Atlanta Metropolitan State College Police Department and display a valid permit to park on AMSC property. Vehicles that are unregistered and/or do not display a valid College permit (Student/Staff/Temporary) are subject to ticketing and booting or towing in extreme cases. Visitors may obtain a permit free of charge from the Atlanta Metropolitan State College Police Department office during business hours. It is unlawful to forge, fabricate or alter a parking permit. Registration – Vehicles must be registered with the Atlanta Metropolitan State College Police Department within 5 business days from the first time a vehicle is on college property. Parking Permits – permit must be displayed hanging from the rear view mirror clearly displayed or lying clearly displayed on the driver’s side dashboard. Visitor/Temporary Permits – permits are to be placed on the driver side dashboard. Visitors should obtain a permit from the Atlanta Metropolitan State College Police Department Office when entering campus. Visitors, vendors and other special groups may be issued a one day Temporary Permit at no charge. Permits may be obtained from the Atlanta Metropolitan State College Police Department Office during normal business hours. Visitor Permits for large groups must be ordered seven (7) business days in advance by the department requesting permits. Handicap Parking Permits – the Atlanta Metropolitan State College Police Department is not authorized to issue temporary or permanent handicap parking permits. The vehicle owner can go to the nearest DMVS office in the county in which they reside to obtain a Disabled Person’s Parking Affidavit (MV-9D) or they can complete the form on line at http://motor.etax.dor.ga.gov/forms/pdf/motor/mv-9d.pdf. Vehicles displaying BOTH a valid handicap permit and a valid AMSC permit may park in staff or student parking if handicap parking is unavailable. Unregistered Vehicles – An unregistered vehicle may be subject to a check with the Georgia Department of Motor Vehicles or other agency, an immobilization boot or towing if it is found to be in violation of any of these regulations. If a College student or employee has an unregistered vehicle on campus, he/she will be responsible for all costs involved in the removal of an immobilization boot, towing charges and the cost of verification of ownership through the appropriate agency. Any previously unbilled citations will be billed to the student’s account. Faculty and staff members will also be held responsible for any previously unbilled citations. Curb Designations – All curbs adjacent to campus buildings are considered Fire Lanes unless there are parking spaces designated by parking bumpers and/or white lines painted on the pavement. Parking on a yellow curb is prohibited. Temporary Permits – Students who have not obtained a student ID can obtain a Temporary one day temporary Permit from the Atlanta Metropolitan State College Police Department office. Lost Parking Permits – If a parking permit is lost it must be reported immediately to the Atlanta Metropolitan State College Police Department office before a new permit will be issued. A replacement fee of $15.00 will be assessed for lost permits. Recovered permits must be returned to the Atlanta Metropolitan State College Police Department Administrative office. Inoperable Vehicles – Vehicles that are inoperable and or are not properly registered with DMV will be considered abandoned after a period of 10 business days from their date of discovery. These vehicles may be fined and/or towed at the owner’s expense. Inoperable vehicles may not be stored on campus. Auto Work – Auto work of any kind is not permitted on campus. Motorcycles – Motorcycles and motorized bicycles (mopeds, motor scooters, etc.) are subject to all regulations in this code. Motorcycles must park in normal vehicle parking spaces or designated motorcycle areas. Mopeds - Mopeds that have an engine size of 100cc or less may park in the bicycle racks. Bicycles – Bicycles are not required to be registered with the Atlanta Metropolitan State College Police Department. Bicycles are to be chained to bicycle racks only. Bicycles chained to building handrails, etc. are subject to fines and impoundment by the Atlanta Metropolitan State College Police Department. The Atlanta Metropolitan State College Police Department reserves the rights to sell abandoned bicycles or give them to charity after a 90 day hold from the date of impound. To reduce your chances of being fined, a valid parking permit should be displayed at all times (as required) from the rear view mirror or on the driver's side of the dashboard. Any vehicle parked without a valid permit is subject to a citation, booting, and/or towing. It is the driver's responsibility to find a legally marked parking space and to park the entire vehicle within the space's boundary lines. Lack of finding a parking space is not considered a valid excuse for violating any parking regulations. All individuals shall comply with all campus parking regulations when parking a vehicle on campus. Motorcycles, mopeds, and bicycles may only be parked in designated areas. No parking on sidewalks. If a vehicle is sold or traded, the registrant is responsible for retaining the parking hangtag or permit and notifying the Atlanta Metropolitan State College Police Department (AMPD) of the change in vehicles. Atlanta Metropolitan State College assumes no responsibility for vehicles or the protection of any vehicle or its contents at any time. Valuable contents should be stored out of sight. Citations are issued against any vehicle illegally or improperly parked on the Atlanta Metropolitan Campus. All parking rules and regulations are enforced 24 hours a day, seven days a week. All parking fines and fees are to be paid at the cashier window, room 121 in the Library Building. Citation(s) and fine(s) not paid or appealed within ten (10) working days are subject to a $10.00 late fee. Students with unpaid fines/citations may have registration holds placed on their records until the delinquency has been cleared. Unpaid fines and fees owed by Faculty and Staff may be deducted from payroll checks. Additionally, citations written against vehicles not in the AMPD Parking system will be traced via the Department of Motor Vehicles, through which address information is obtained and used for collection purposes. If any vehicle is cited repeatedly for violations, the College may, at its discretion, revoke a patron's parking privilege(s) to park on the campus. The Atlanta Metropolitan Police may remove or immobilize a vehicle at the owner's expense, for violation of parking rules and regulations. All warnings and violations are documented in a Driver History. Repeat violators are subject to a Repeat Violator fine schedule . Fourth and subsequent delinquent tickets may result in your car being booted and/or towed. Student grades, subsequent registration, transcripts and diplomas may be held until all fines are paid. Permit Not Displayed/Not Registered – $30.00 Fine: All vehicles parked on Atlanta Metropolitan State College property must be registered with the Atlanta Metropolitan State College Police Department. Students, staff and faculty must register for a parking permit. Visitors and guests must display a temporary parking permit. Expired Permit – $30.00 Fine; Student permits are valid for one year and must be renewed prior to expiration. Expired Temporary Permit – $30.00 Fine:Temporary permits are valid only for a limited period of time as indicated on the permit. All parking permits must be displayed clearly and not covered or placed out of sight. 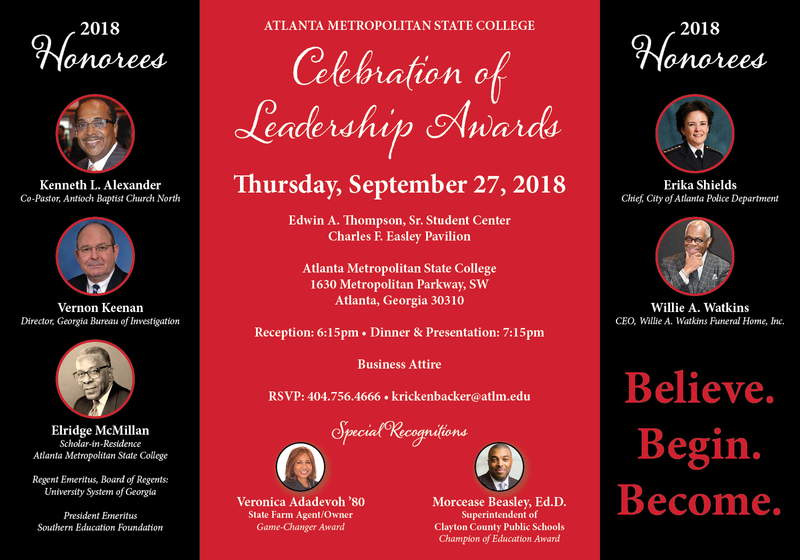 Posted Reserved Space – $35.00 Fine: Reserved parking by special permit or permission from the Atlanta Metropolitan State College Police Department only. Posted No Parking – $35.00 Fine: No parking or standing. Posted Faculty/Staff Parking – $35.00 Fine: Faculty staff parking only. Parking on a Curb – $40.00 Fine: Parking on a curb lacking pavement markings to indicate a designated parking spaces is prohibited. Parking on Lawn or Walkway – $40.00 Fine: Parking on sidewalks or lawns is prohibited. (Permit required). Blocking a Driveway or Wheelchair Ramp–$40.00 Fine: Vehicles shall not block driveways or handicap access ramps. Occupying More Than One Space – $40.00 Fine: Vehicles shall not occupy more than one designated parking space. Red Zones/Fire Lanes/Fire Hydrants–$100.00 Fine:A vehicle may not stop or park in a red zone or fire lane, whether the vehicle is attended or not. Handicapped Parking –$150.00 Fine: Blue handicapped spaces with a sign posted are for handicapped parking only, including nights, weekends and holidays. The only vehicles allowed to park in handicapped spaces are those displaying a special handicap license plate or placard issued by the DMV. PERMITS ARE VALID FOR THE PERSON NAMED ON THE PERMIT ONLY. College employees may not park in handicapped zones without proper DMV issued permits. Vehicles displaying BOTH a valid handicap permit and a valid AMSC permit may park in staff or student parking if handicap parking is unavailable. Tampering with Immobilization Device –$100.00 Fine: The College reserves the right to impound any vehicle that violates parking regulations by using an immobilization boot. Tampering with or attempting to remove an immobilization device is prohibited. Obstructing Traffic – $50.00 Fine: There is no stopping, standing or parking in a way that prevents another vehicle from moving or hinders the normal flow of traffic. Limits of Sound Volume - $75.00 Fine:Exceeding legal limits stipulated by OCGA 40-6-14. Unlawful for anyone person operating or occupying a motor vehicle to operate or amplify the sound-making device or instrument from within the motor vehicle so that the sound is plainly audible at a distance of 100 feet or more from the motor vehicle. Casplan Street is the main road that runs through Atlanta Metropolitan State College and its pedestrian crosswalks are also heavily traveled. For that reason, stay well within the 20 M.P.H., be alert for pedestrian traffic and for cars pulling out. Pay attention to the signs: One-way, three way stop, stop..etc. besides increasing your opportunity for a traffic accident, you will be ticked for violating the traffic flow signs as well. If you have an accident and if it does not constitute a safety hazard, leave both vehicles where they are and immediately notify the Atlanta Metropolitan State College Police Department at 404-756-4040.